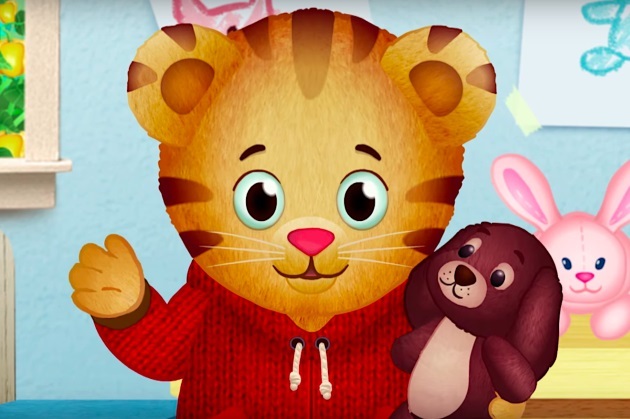 If you haven’t heard of Daniel Tiger, you likely don’t hang out with preschoolers much. In a recent episode of "Daniel Tiger’s Neighborhood," Daniel felt a little nervous about visiting a new dentist for a cleaning and exam. But with some help from the American Dental Association, Daniel’s visit was smooth sailing! Dr. Jonathan Shenkin, an ADA spokesperson and former ADA vice president, worked closely with producers of the show, which is an American-Canadian animated children's television series on PBS Kids, to shape the content of the episode. It goes like this. Daniel and his mom visit Dr. Plat the platypus and she makes Daniel feel comfortable, allowing him to sit in the dental chair with his stuffed animal, Mr. Dino. After putting on her gloves and mask, Dr. Plat brushes Daniel's teeth and sings a song about how to brush your teeth properly. Daniel then tells the dentist he brushes his teeth twice a day, once in the morning and again at bedtime. During the cleaning, Dr. Plat tells Daniel she'll use another tool to remove the plaque and germs that are hard to reach. She lets Daniel choose the flavor of his toothpaste. After asking the audience what they would prefer, Daniel picked berry stripe mint. Dr. Plat then sings another song outlining to the audience what to expect when they visit their dentist. "Dentists are there to help to make sure you have a healthy mouth," Dr. Plat sings. Dr. Shenkin said the producers sent him the script, which he helped revise. In the original script, Dr. Shenkin said, Daniel's mom was hovering over Daniel during the cleaning and exam. Dr. Shenkin said the producers were very receptive to the changes. He gave the producers an outline of what a dentist would do when first meeting a child, including reviewing their health history, asking about brushing and diet, asking if they have any dental concerns or tooth pain and what to expect during a cleaning and an exam. To view the episode, visit pbskids.org/Daniel/videos.